Appendix. 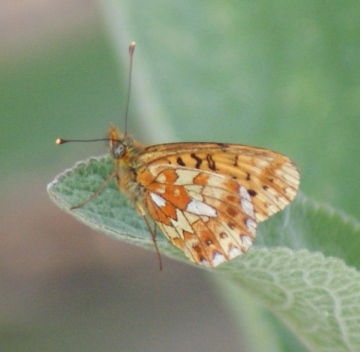 Pearl-bordered Fritillary. Notable/Nb. Extinct as a native since the late 1960s. Re-established by introduction for a few years in the 1990s. Now extinct.